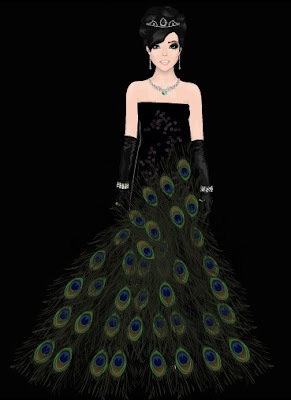 Wearing... Archive Zhang dress, PPQ of Mayfair high waisted black skirt, Voile gala gloves, Perfect Day black cocktail stilettos and numerous peacock feathers. Hello USD readers it's Amber again for Mondays captured column. I found a lot of great outfits this week so it was very hard to choose just one but when I saw this outfit created by -sakhura- I just knew it was the perfect choice. What I like about the dress is how she has used the peacock feathers. A lot of the time I see outfits where people have just thrown a bunch of interior items on all together and don't seem to know when to stop adding things and the result is overkill. This is why I love this outfit because she has added just the right amount of feathers, she didn't overkill the outfit by adding too many. Her hair, make-up and jewellery all match the dress too making the whole outfit look very elegant and formal. Success! 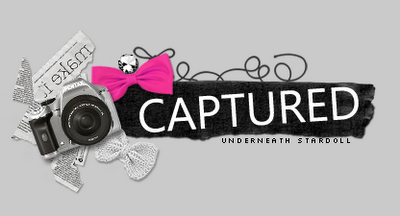 An outfit the whole captured team likes. What do you think of it? Let me know in comments.